beams the colourful culture and traditions of India in its glorious form. Starting with Varanasi, where the verses chanting on the ghats of River Ganges form an enchanting experience of life, the tour moves towards Khajuraho, The Kamasutra temples where desires and their emptiness are celebrated in true form. Further to this, the tour moves towards Jaipur, the capital of Rajasthan, Deogarh and Udaipur where royalty rules the state in the form of palaces, forts and havelis. On arrival at Delhi. Transfer to the hotel for Overnight stay. Early morning connect flight to Varanasi, arrive at Varanasi in the afternoon. On arrival transfer to the hotel Relax for some time. Later take an excursion tour to Sarnath, where Lord Buddha perched his First Sermon, visit the Dhamekh Stupa. Overnight stay at the Hotel. Early morning boat ride on the Ganges at dawn when it is full of pilgrims is an amazing place to witness the living traditions of one of the world's oldest and most important religions. While on the boat you will also see the cremation ceremonies of dead bodies as per Hindi Rituals Later connect flight to Khajuraho. Later visit Western group of Temples consisting of the massive Laxman Temple dedicated to lord Vishnu, the Laxmi and Varaha temples dedicated to Vishnu's consort Laxman, the Kandariya Mahadev temple dedicated to Lord Shiva and the Chausath Yogini temple dedicated to goddess Kali. Overnight stay at the Hotel. After breakfast visit Eastern group of Temples and visit the Jain temples of Parsvanath, Adinath, and Shanti Nath. Also visit the temples of Vamana and Brahma/Hanuman both dedicated to lord Vishnu. Later return and drive to Jhansi via Sightseeing of Orchha and Transfer to Railway Station to connect train Shatabdi Exp. train (1726/2025) for Agra. On arrival Agra Cantt .Transfer to Hotel. Overnight stay at the Hotel. 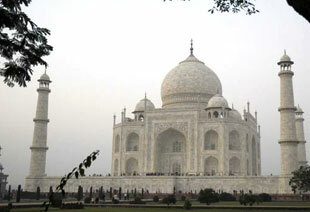 Visit to the incomparable Taj Mahal with its' speculative view & Agra Fort. Overnight stay at the Hotel. Morning leave for Jaipur, En route visit to Fatehpur Sikri. On arrival Jaipur Check into Hotel. Overnight stay at the Hotel. Sightseeing of Jaipur Amber Fort, City Palace, Central Museum, Jantar Mantar & Hawa Mahal. Overnight stay at the hotel. After Breakfast drive to Deogarh. On arrival check into Hotel. Overnight stay at the Hotel. 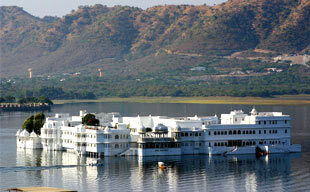 Proceed for Udaipur Enroute visit Eklinji one of the most famous temples of Rajasthan. Eklingnath Temple is dedicated to the Lord Shiva of the Hindu religion and Nagda Temples. Nagda comprises many small and big temples, but the main attraction is gained by its 'Sas-Bahu' temple. Arrive Udaipur. Overnight stay at the Hotel. Take a Sightseeing Tour of Udaipur Visit City Palace Museum- grandeur and intricacy stroked all over in granite, marble and mosaic displayed in the sparkling white filigreed balconies and windows, ornate arches and cupolas atop magnificent octagonal towers, Jagdish Temple- built in 1651 AD. Also visit Sahelion Ki Bari- the spectacular garden. In the evening enjoy a most memorable boat ride with the reflections of the majestic Lake Palace Hotel at its best against the setting sun. Overnight stay at the Hotel. 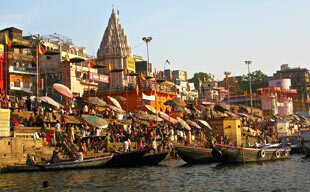 Spend the day in a leisurely manner before boarding a flight to Delhi. Connect flight for Delhi. Arrival Delhi half day city tour of Delhi. Evening free for shopping & later drive to airport to connect international flight.